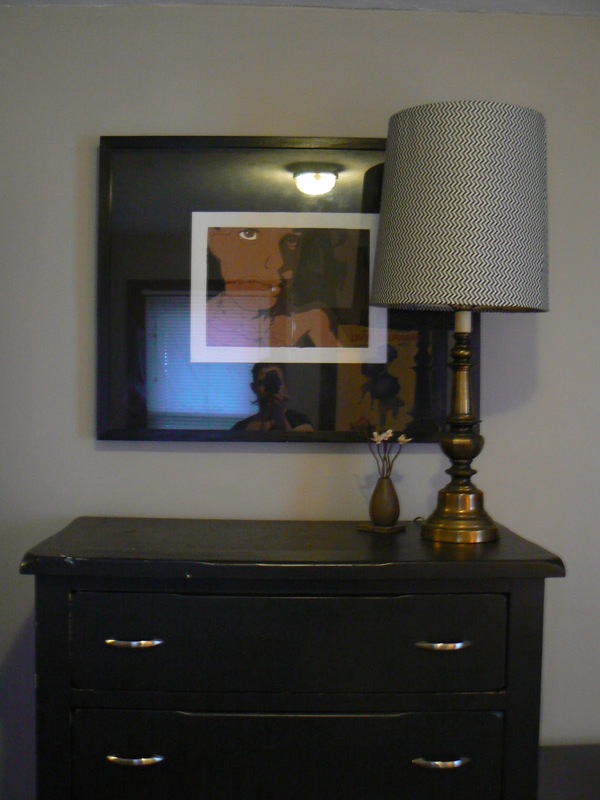 This weekend I knocked two things off of my final ‘to-do’ list for the second bedroom. The first is that I bought a $25 used box spring to raise the bed up to a normal height. Are you grossed out that I bought a used box spring? Well, don’t worry your pretty little head I checked it for bugs… ugh, now I’m grossed out. The other project I did required more skill. In fact it required the ultimate skill: PATIENCE. Have I mentioned I’m impatient? Ugh. I can’t even talk about it stress me out. The set of lamps (here) that I bought for $26 had seen better days so I decided to give them a face lift. The lamp bases aren’t bad, but the lampshades really needed some work. They are a good shape but a gross texture and color. 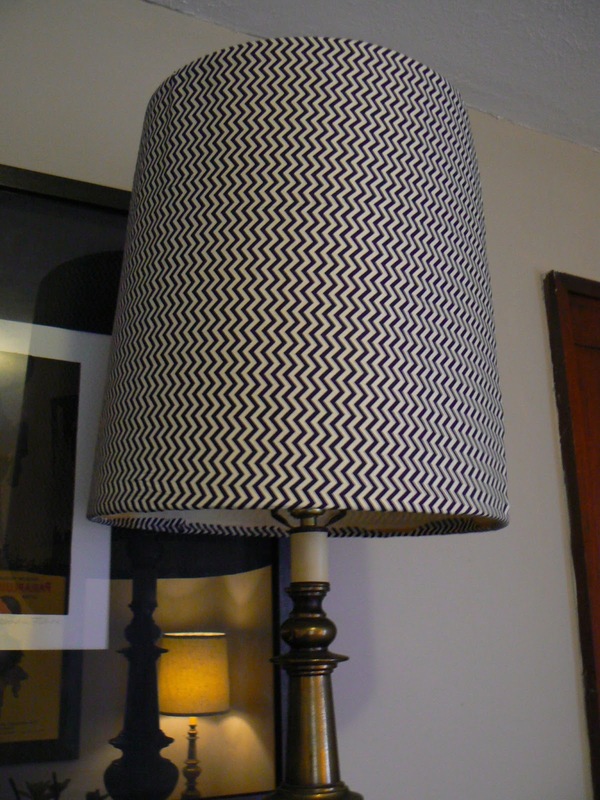 So I weighed my options… I’ve painted a lampshade before and it turned out fine, but this time I decided to cover them in fabric. I’ve seen a hundred tutorials on Pinterest so I read through a few and then just winged it. I decided to use a hot glue gun (some tutorials used spray adhesive and others used tacky glue). Amazingly I don’t own a glue gun even though I am relatively crafty so I had to buy one. It was $2.49! The glue sticks were more expensive at $2.99 but still cheap. I ultimately went with the middle one. The geometric flower was awesome but I wasn’t sure if I would like it long term and the pale grey chevron was a little too light for my bold taste. In this pictures it looks like the middle fabric is black and white but it is actually cream and navy blue. Chevron is trending down but I still like it so I went for it. It was $4.99 a yard plus 30% off which comes out to like $3.73 a yard after tax, not bad at all! The bolt was almost empty so I only got 2 and 3/4 yards and I crossed my fingers that it would be enough. 1) I rolled out the fabric and sort of measured how much I would need. I did this at a friend’s house and I was distracted because we were talking so I didn’t do a very good job of measuring. C’est la vie. Side note: Don’t try to measure and cut fabric on carpet. 2) Once I had my piece cut out I started glueing it on. I only glued at the seam and around the edges, not the whole body of the shade. I also didn’t take pictures because I only have two hands. 3) It started to look bad so I just make stuff up. Don’t ever let me cut your hair because apparently I have no sense of what is straight. And I wasn’t even drunk! Geez. After a little trimming all was well in the world. That is as long as you don’t turn it around! Yep, seams be crazy. I’m a mess, I need help with my crafts. I am too impatient to do things right. I just get too excited and I don’t think things through. Lame. Wow, that looks so bad, I’m embarrassed to even post that… don’t judge me too harshly. That is actually the worst seam, the other lamp looks much better. But everything looks good from this side! The second one turned out much better. Overall, I am happy with how they turned out. I’m a little annoyed that I didn’t do a better job on the seams, but oh well. 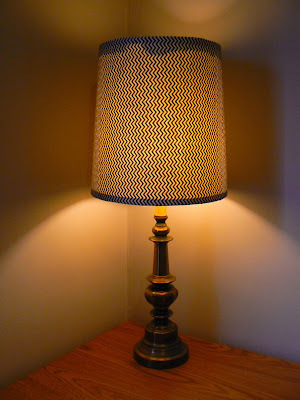 After the fabric update each lamps still only cost $17! You seriously can not get a lamp that cheap anywhere so I’m very happy with two big lamps for only $34. 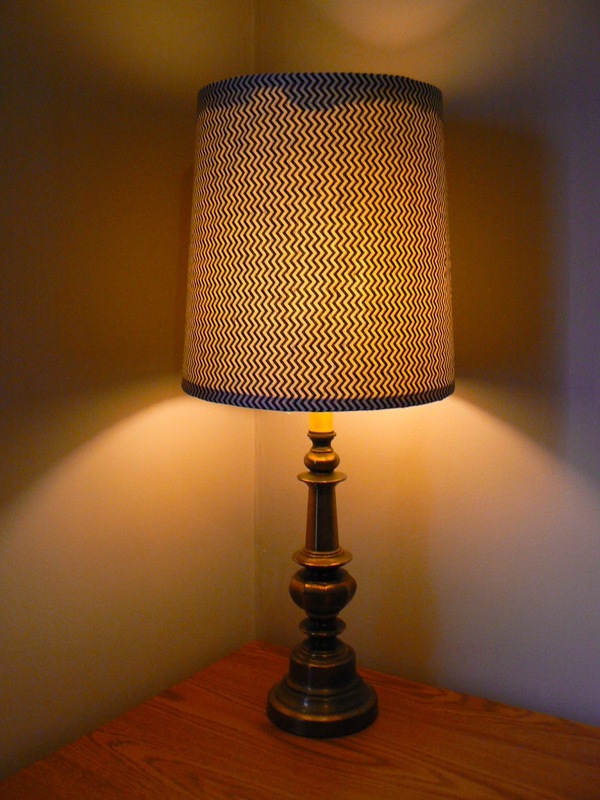 Have you tried fabric wrapping lampshades before? It seems like it should be easy, but it definitely took more skill and patience than I expected. 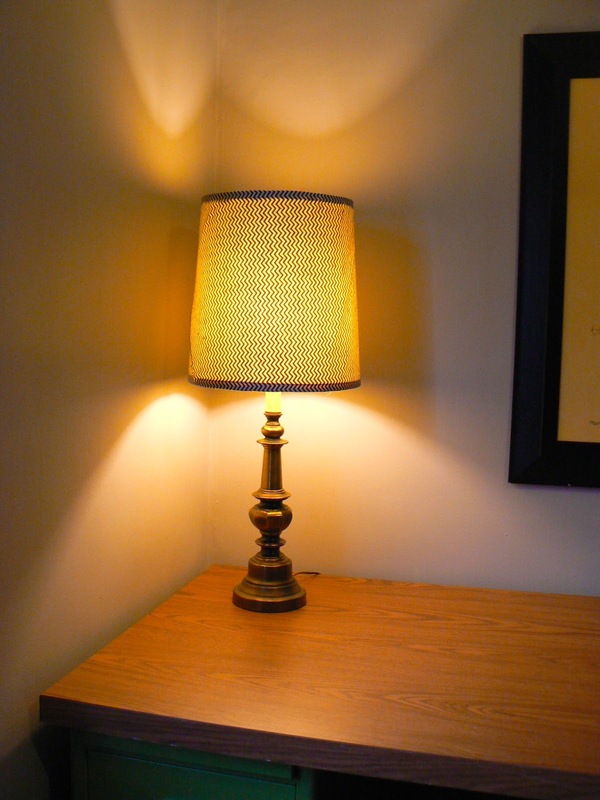 Thankfully, the ‘bad’ lamp is an a corner and hopefully no one will turn it around and judge me. These turned out great. I love the fabric. Absolutely beautiful….and I bet they taste as good as they look! By far my fave dessert EVER.PS I am hosting a Sally Hershberger "Beachy Waves" giveaway/tutorial …you should check it out! I’m glad the party worked out because I feared it was going to be a disaster. Bringing together unlikely-to-meet elements could have been coub.stiblemMaybe you were the stabilizing component?